He's the hawk of the family, always finds something, in nature, on the streets. Prachtig . Zo is Leonardo da Vince ook begonnen. Met nieuwsgierig te wezen. I really like the POV. You have caught his expression so well. A wonderful shot! 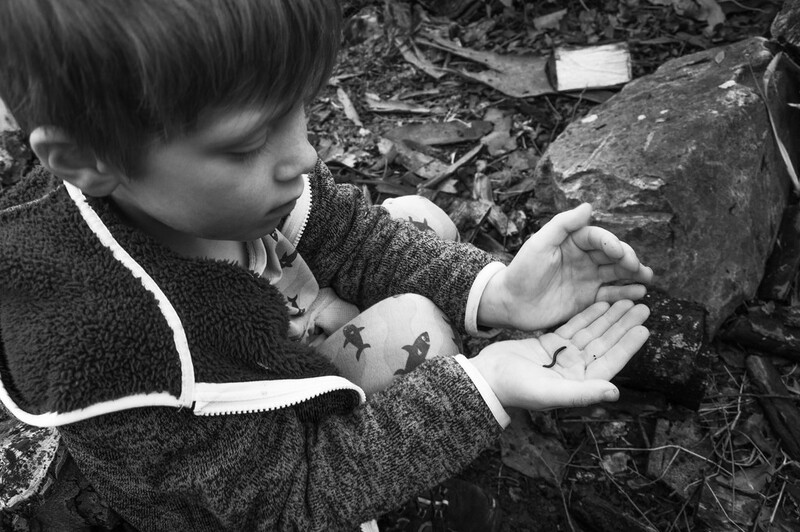 Beautiful - really captures the concentration that only children (sadly) bring to their discoveries. Long may he continue to be fascinated.